Are you hungry and want to try a new place to eat? Head on over to Bryans Luncheonette in Succasunna, NJ, for our breakfast or lunch specials. 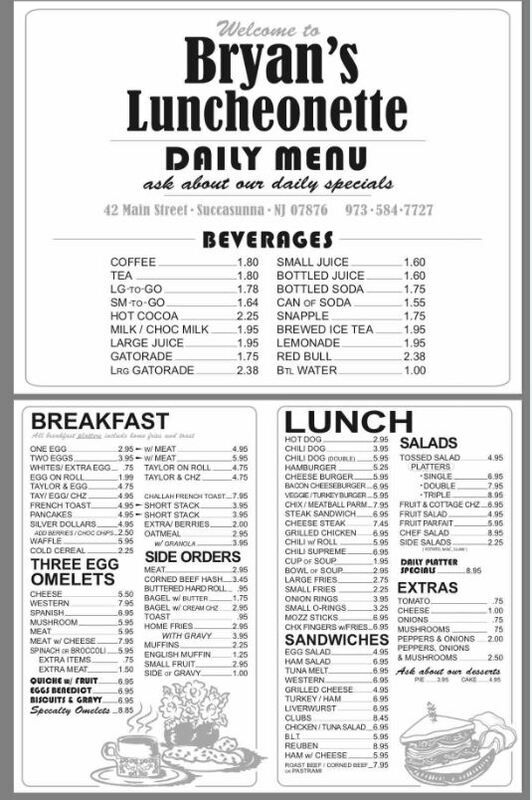 Our menu features dishes like hamburgers, omelets, coffee and much more! We also offer a weekend brunch special, so come on down to try our tasty dishes!